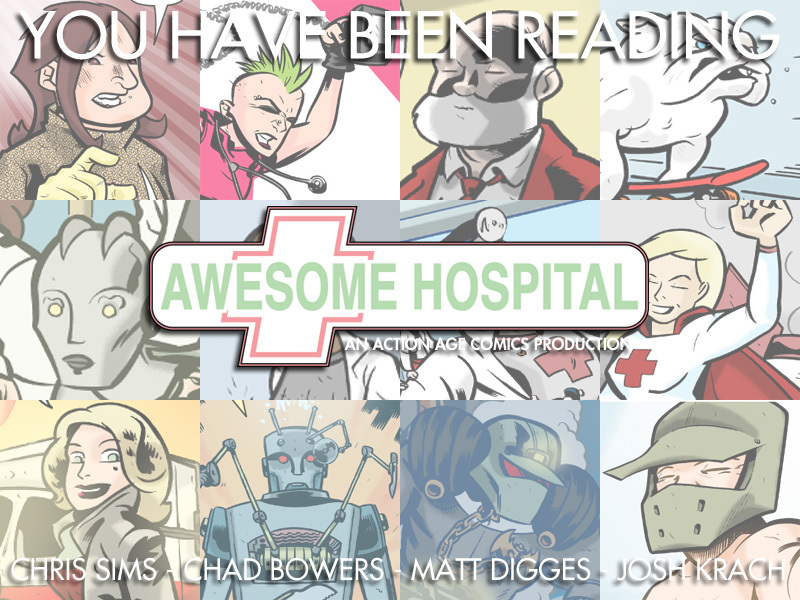 Awesome Hospital - HeroesCon 2012! Just a quick update to let you know that as usual, Chris and Chad are heading to Charlotte, NC for HeroesCon 2012! And this time, we’re bringing ace letterer Josh Krach with us! We’ll have print copies of AH #1 with us, plus all of our other projects and exciting news for the future. We’ll be at Table AA 638 and 639, so if you’re in the area, swing by and check us out! sooo when arew we gunna see the next chapter ??? or is doctor mcninja the only practicer of radmedicine left ? Aw, it still hasn’t updated? Man, this was one of my favorite webcomics. Is Awesome Hospital finally dead? I can’t remember how many times I’ve checked back while trying not to lose hope. It’s too awesome to die! Kyronic, it’s not dead. We’re working on some other things right now, but there will be new Awesome Hospital in 2013! I’m getting awesome withdrawls. Please hurry. The whole world seems palid and boring. i need a shot of radacine !come back Awesome hospital! I will always check for updates, no matter what. I’ll wait forever if I have to. Well, me, Chad and Matt are working on another project, but while you’re waiting, Chad and I wrote another comic series with Erica Henderson, and letters by AH’s own Josh Krach. It’s called Subatomic Party Girls, and if you haven’t checked it out, it’s on Comixology!